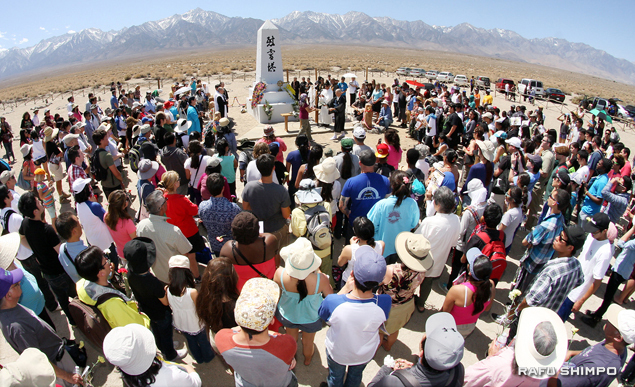 Hundreds surround the memorial in the Manzanar cemetery for an interfaith service on Saturday at the 44th annual Manzanar Pilgrimage. “No more Manzanar, no more waterboarding, no more Abu Ghraib!” declared Rev. 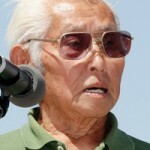 Dickson Yagi, invoking past and recent human rights injustices during a solemn interfaith service held at the monument in the Manzanar cemetery on Saturday. 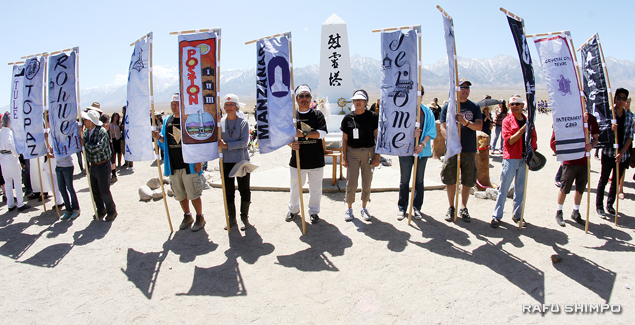 The religious services, encompassing Buddhist, Christian and Shinto faiths, were held during the 44th annual Manzanar Pilgrimage. 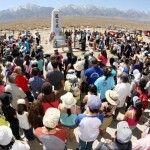 More than 800 returned once again to the former concentration camp to remember and reflect upon the Japanese Americans who were incarcerated at Manzanar during World War II. 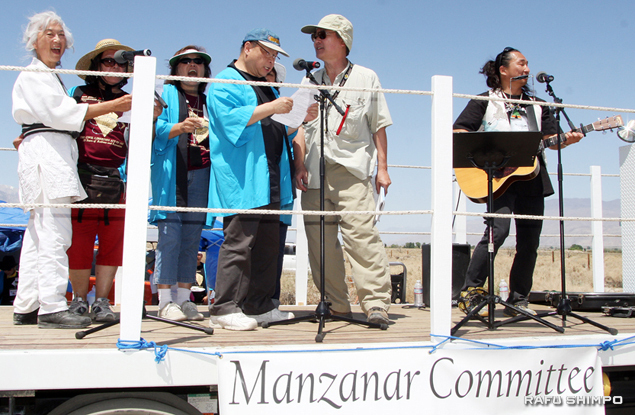 The pilgrimage is sponsored annually by the Manzanar Committee. Nine buses brought visitors from Southern and Northern California. Student groups participating included Scripps College, All Saints Church (Pasadena), Florin JACL, CAIR, L.A. Academy Middle School, United Teachers of Los Angeles and the Nikkei Student Unions of Cal Poly, Pomona, Cal State Long Beach, UCLA and UC San Diego. 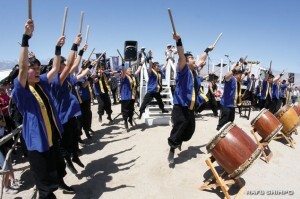 UCLA Kyodo Taiko kicked off the program with a taiko drum performance. 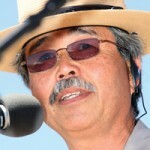 The Sue Kunitomi Embrey Legacy Award was given to City of L.A. Board of Public Works Commissioner Warren Furutani. 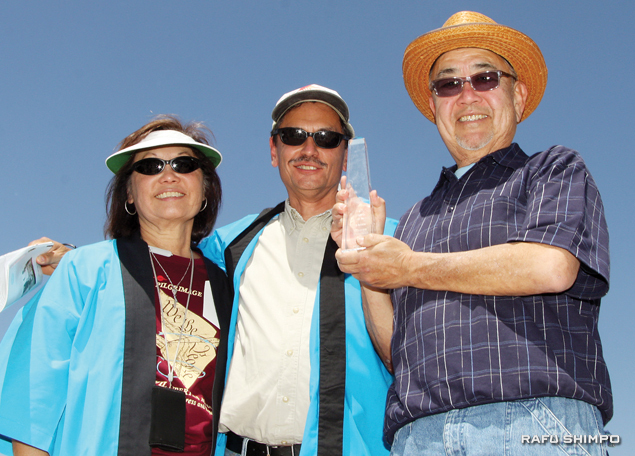 The honor, also known as the Baka Guts Award, was presented by Bruce Embrey, center, and Kerry Kunitomi Cababa. Manzanar was one of the ten camps that Japanese and Japanese Americans were confined in during World War II and is the best preserved of the sites. Ongoing projects include the development of Block 14, currently featuring Barracks 1 and 8. 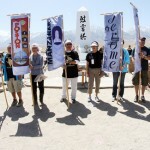 Friends of Manzanar are raising funds to reconstruct the laundry room, ironing room, and men’s and women’s latrines. Staff and volunteers have also recently excavated William Katsuki’s garden at Block 24, Barracks 5. On Saturday, National Park Service staff offered free water bottles to visitors and for the first time, erected a large tent for attendees to take refuge from the heat, which climbed into the upper 80s. Warren Furutani, recently appointed to the Los Angeles City Board of Public Works, was awarded the Sue Kunitomi Embrey Legacy Award. 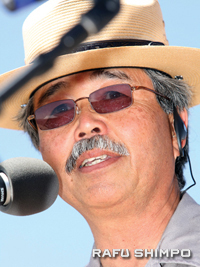 As a member of the State Assembly, Furutani coauthored legislation establishing the Fred Korematsu Day of Civil Liberties and the Constitution in the state of California on Jan. 30, Korematsu’s birthday. 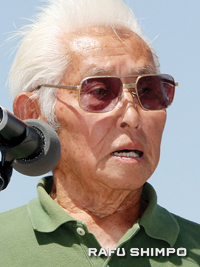 Furutani, one of the organizers of the first pilgrimage in 1969, recalled those days when he was a leftist anti-war protester, looking for a cause for Japanese Americans to claim as their own. 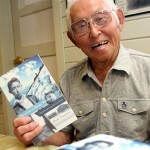 He shared memories of driving with Victor Shibata on an undulating dirt road and seeing the cemetery monument for the first time. 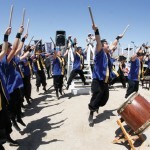 UCLA Kyodo Taiko were among the performers to provide spirit and entertainment throughout the day. 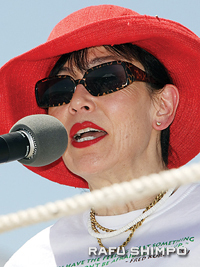 Karen Korematsu, daughter of Fred Korematsu and founder of the Korematsu Institute, noted that this was her first pilgrimage. Touring the barracks in 2011 for the first time, she said she was overcome with emotion. “My heart just sunk and I cried because I thought of my grandmother, this lovely Issei woman who came to America in hopes of it being a better country and life. 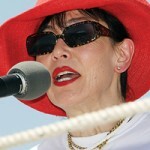 And to have it all taken away from her and realizing that the conditions here were deplorable,” said Korematsu. 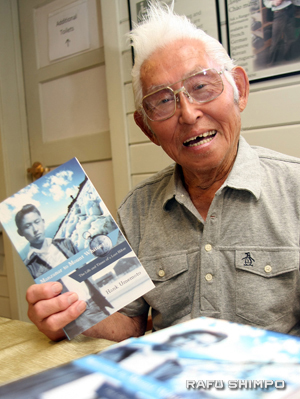 Hank Umemoto, a docent at the Manzanar Visitors Center, read from his recently published book, “Manzanar to Whitney: The Life and Times of a Lost Hiker.” Umemoto first recalled seeing Mt. 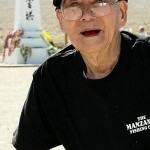 Whitney as a teenager in Manzanar, and would climb it more than 10 times, the first when he was 71. “Freedom is not something you should take for granted, it is something to work and fight for in our Nisei way,” said Umemoto. 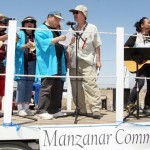 “A lot of people don’t know that Manzanar had 10,000 people. 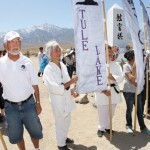 There were 2,000 who said no-no who were shipped to Tule Lake. It’s a big part of our history that people don’t know about,” Maeda said. 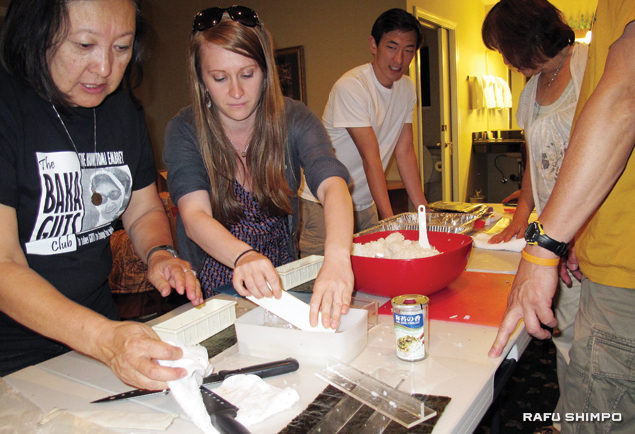 Teeny Miyano, left, and Monica Embrey join Mananar Committee members and volunteers in making Spam musubi at the Dow Villa Motel in Lone Pine, the night before ceremonies. Keynote speaker Karen Korematsu and former Manzanar internee Hank Umemoto shared thoughts on the meaning of the camp experience. 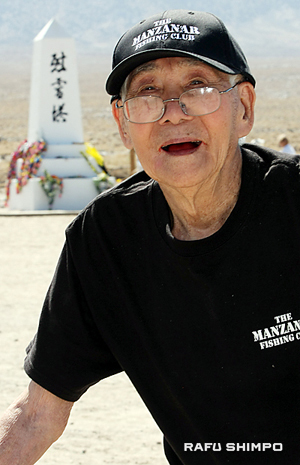 John Okamoto, 100, participated in the Manzanar Pilgrimage. Members of the Florin Japanese American Citizens League join in dancing “Tanko Bushi” at the end of the pilgrimage. 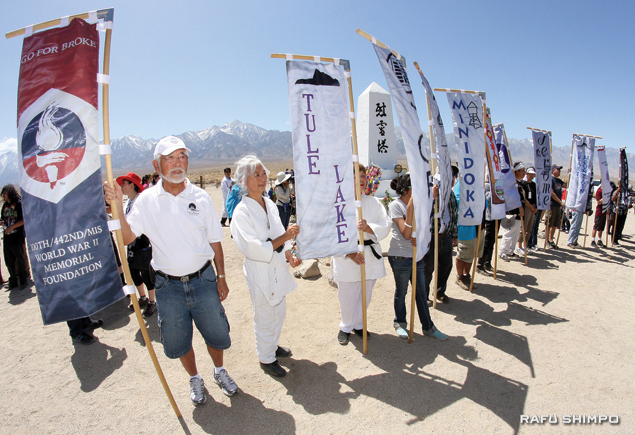 Banners representing the ten internment camps, as well as the Nisei military units, are carried to the cemetery. 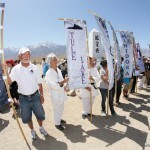 The banners are carried by individuals with a connection to that particular camp, often former internees or their children. 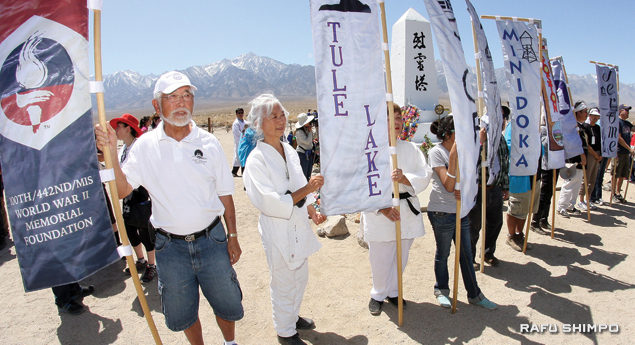 From left, Don Hata, David Fujioka and Tomoko Brooks carry banners representing the camps. 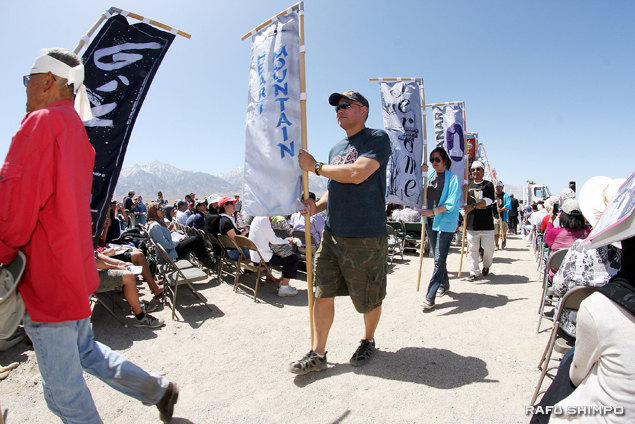 Banners representing the 10 former relocation centers and other groups were flown at the conclusion of the ceremony. 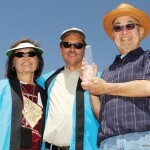 From left, Bill Shishima, Ernie Jane Nishii and Nanncy Oda (partially obscured). The number of attendees was estimated at more than 800. 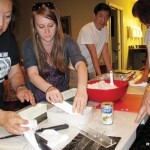 The healing of the “no no” Japanese American and the JACL is long overdue.